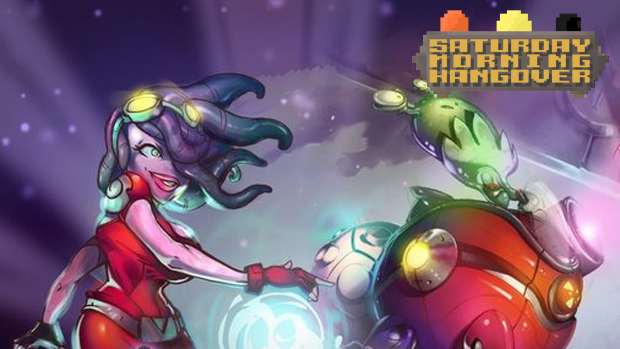 We're pumped up about the latest update to Awesomenauts, the 3 v. 3 platforming MOBA from Ronimo Games. And, as such, Jordan and I are going to play the hell out of it today on Saturday Morning Hangover. But, first, we have the Xbox Live Indie Games demos to check out. There isn't much I'm genuinely looking forward to there. Glimmers of hope include Slick, which looks like an homage to platform games on Game Boy, and Ninja Exorcist Episode 1, which sounds a little bit amazing just on title alone. It's all happening over on Dtoid TV right now. Come hang out with us!